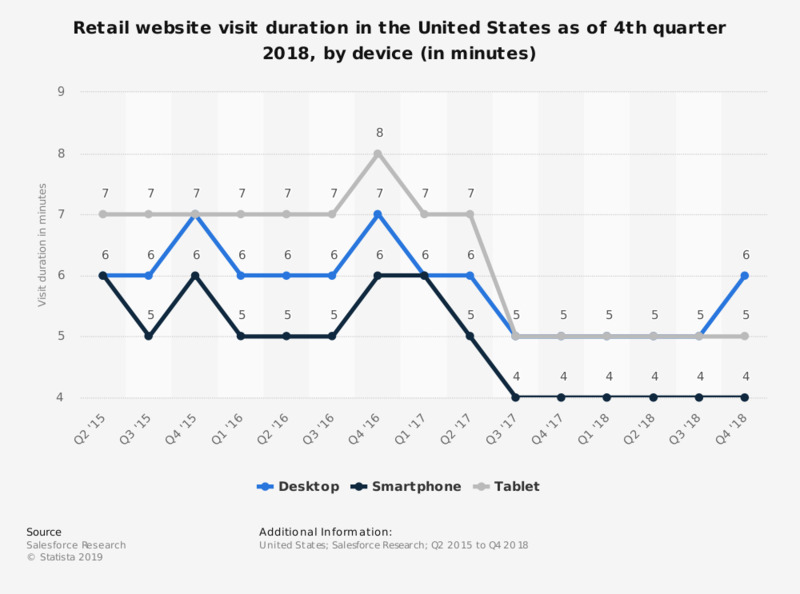 This statistic presents the retail website visit duration in the United States as of the fourth quarter 2018, sorted by device. During the most recently measured period, U.S. online shopping audiences spent an average of six minutes on retail websites per desktop visit. Data is based on 1.8 billion visits from 500 million shoppers to 1,008 digital commerce sites in 36 countries.